Cliodhna Guy joined the The Irish Horseracing Regulatory Board in mid-February 2017. 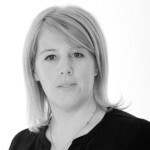 Cliodhna is an Irish qualified lawyer who has focused her career path in the sports industry. She qualified as a solicitor in Byrne Wallace, one of Ireland's top commercial firms and went on to gain significant experience, both nationally and internationally, as Legal Manager in the Football Association of Ireland and subsequently as Legal Director for the International Boxing Association. She has a Masters in Sports Law from De Montfort University in Leicester. She has strong international connections in the sports law industry and joins the The Irish Horseracing Regulatory Board with an in-depth knowledge of integrity, disciplinary and governance matters.